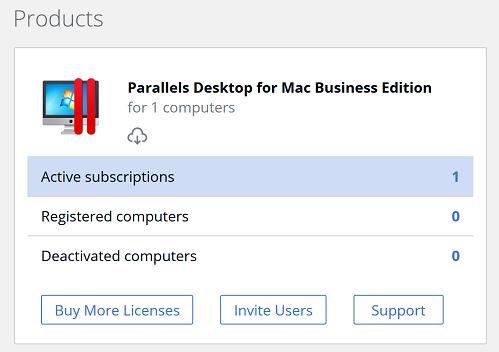 Open your Parallels account Dashboard and click on Active subscriptions under the product in question. Select the value of the license key and copy it into the buffer. Use this license key to activate your Parallels business product. To understand how to split a product license into sublicenses, read Managing sublicenses in a Parallels business account.